Figure 3. 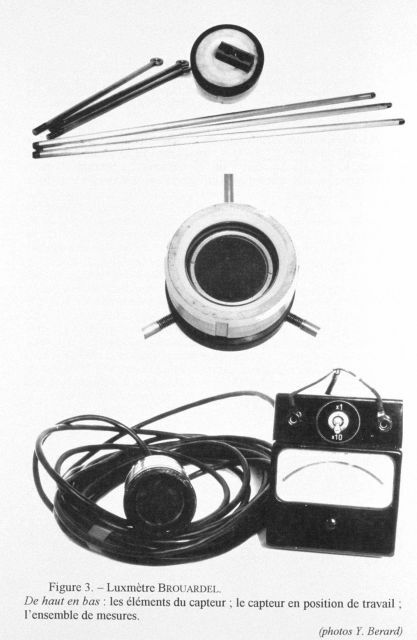 Brouardel’s luxmeter. This instrument was constructed in 1956 at the Oceanographic Museum of Monaco by Jean Brouardel and Emile Rinck for their studies on the primary production in the Mediterranean Sea according to the methods of Steeman Nielsen. It was especially designed for photoelectric measurements in deep ocean water.